All students receive three formal reports during the year: late Term One, end of Semester One and end of Semester Two. The report distributed in late Term One is intended to give parents a summary of how their student is settling into the new year. All teachers report under the same categories, and there are no grades awarded. The end of semester reports are more detailed and include achievement in each subject studied. End of semester reports include general information common to each subject, a teacher comment and an overall result from A+ (highest) to E- (lowest). 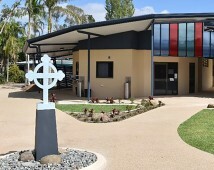 All subjects at Emmaus College are graded and these grades are included at appropriate times during the year. 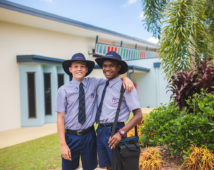 Grades are arrived at through a set of common criteria and standards developed in conjunction with the Australian curriculum syllabuses for Years 7 to 10, and by the QSA for Years 11 and 12. At the completion of Year 12, all students receive a Senior Statement which is issued by the Queensland Curriculum and Assessment Authority. This is a transcript of the learning account for all students completing Year 12 at a school. It shows all studies and the results achieved that may contribute towards the award of a Queensland Certificate of Education, or QCE. In addition to these written reports parents are formally invited to attend parent teacher interviews twice a year. Informal contact is encouraged and can occur at any time during the year. 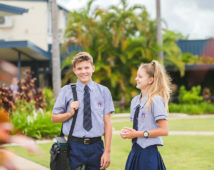 Queensland Certificate of Education (QCE) The QCE is Queensland’s new senior school qualification awarded to eligible students after the completion of Year 12. From Year 10, students are encouraged to access their individual learning accounts through the QCAA website. Tertiary Entrance Statement This statements shows the eligible student’s Overall Position (OP) and Field Positions (FPs). Rankings are used to determine eligibility for admission to tertiary courses. 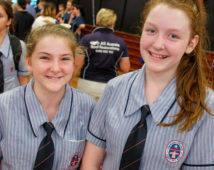 For more information on rankings and Queensland grading visit the Queensland Curriculum and Assessment (QCAA) website. To achieve an Academic excellence award, students must have a GPA of greater than 4.5, and have no grades lower than a C-. To achieve a merit award, students must have a GPA of at least 4, and have no grades lower than a C-. NOTE: Students in Years 11 and 12 doing Certificate courses must have complete units required for the end of the semester. In addition to Academic Excellence and Merit, students who achieve A grades in all of their subjects will receive a Principal’s Commendation Award. Students from all Year levels are eligible for this. Year 12 students who achieve the highest mark in a subject are recognised as the top of their subject. Students can receive this award for more than one subject. (b) Interviews will commence at 3:40pm and conclude at 8pm. The time allowed for each interview is 10 minutes only. If an interview seems like going past this time limit, please make another time with the teacher otherwise delays are created for other parents and students following your appointment time. We encourage all parents to take this opportunity to make an appointment even if the teacher has not requested one. If you do not have internet access, please call the school – 4923 5700. Mrs Narelle Sommerfeld, Workplace Learning & Careers Co-ordinator will also be available for interviews on the night. If you would like to meet with Mrs Sommerfeld, please book a time through the on-line booking system. Please remember that you are welcome to discuss any aspect of school life with the appropriate Head of Year, Director of Campus or Deputy Principal.